Home » News » Pre-order the Limited Edition of Lords of Middle-earth now! This special edition features a complete set of hand-painted miniatures. The print run is limited to 500 copies, in English language, and will only be available directly from Ares Games. 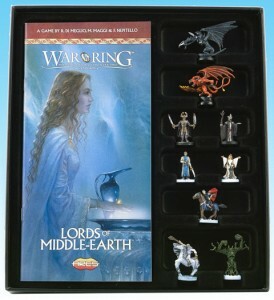 In addition to the painted miniatures (compatible with the War of the Ring Collector’s Edition), the Limited Edition of Lords of Middle-earth includes the Treebeard Promo Mini-Expansion (with painted miniature and card) and a numbered certificate of authenticity, packaged in an elegant, embossed and hot-foil stamped, box. The cards, dice, rulebook and markers included are the same ones included in the regular edition. 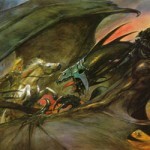 The Limited Edition of Lords of Middle-earth is expected to ship to customers in late March 2013 (actual date may change). The Limited Edition of Lords of Middle-earth is sold out. Pre-orders are now closed.